The venue can transform from a daytime social hub into an event space for a car launch, or a beautiful boho engagement party, or your end of year corporate Christmas party! Designed with a white background with pastel colour palette, X Cargo can transform into any type of event space. Located on McLachlan Street in Fortitude Valley, X Cargo is only steps away from public transport as well as secure car parking.Being 20 minutes from the airport and steps away from public transport on Brunswick Street, X Cargo is the perfect location for your next function or event. X Cargo is Brisbane’s newest urban development set in the heartbeat of Brisbane’s entertainment district – Fortitude Valley. 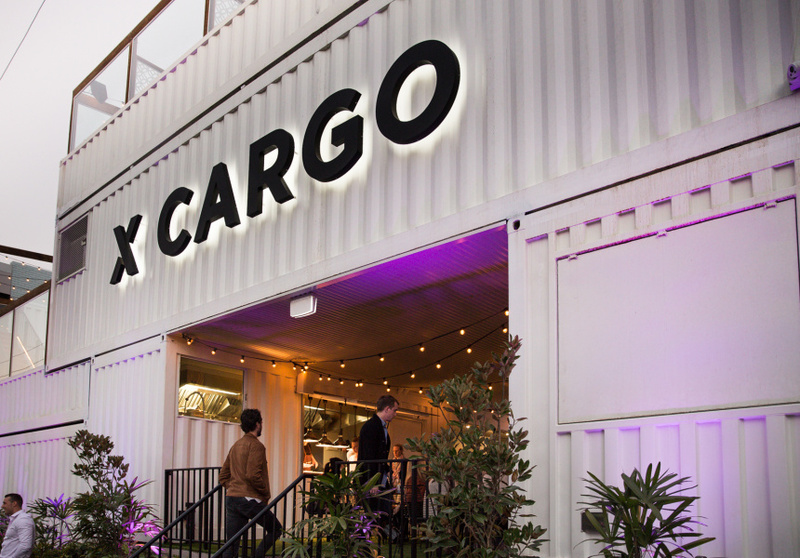 Specially designed with multi-purpose areas, X Cargo is a unique multi-level entertainment venue made from shipping containers complete with individually designed bars, outdoor dining and an open-air beer gardens. With a total capacity of 1200, the venue can transform from a day time social hub into an event space for a car launch or a beautiful boho engagement party or your end of year corporate Christmas party! Designed with a white background with pastel colour palette, X Cargo can transform into any type of event space. Located on McLachlan Street in Fortitude Valley, X Cargo is only steps away from public transport on Brunswick Street, as well as secure car parking and is also 20 minutes from the airport. X Cargo is the perfect location for your next function or event. Featuring an American menu with Latin influence, the kitchen can service functions and events from 10 people right through to 500+. With smaller platters that feature bite size #PLATTERED right through to #THEWHOLEHOG, X Cargo will satisfy the taste palette of your fussiest guest! Our functions team are ready to design your next event! Contact us today, we look forward to creating memories with you.